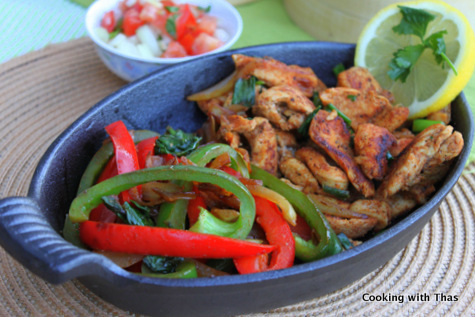 In Mexican restaurants fajitas are served on a hot cast iron skillet with the sizzling sound. 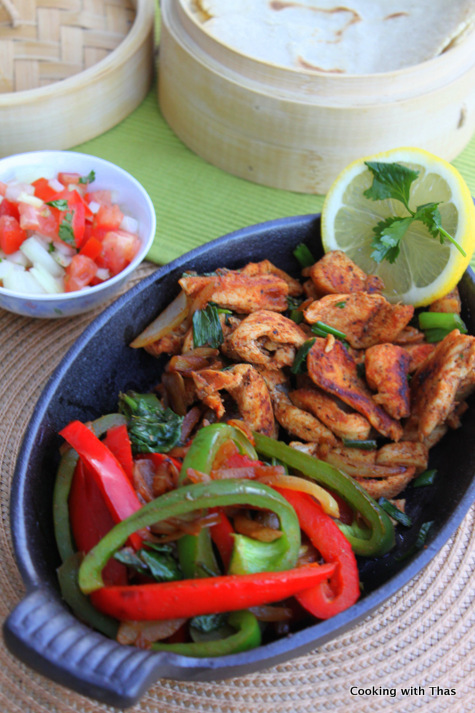 This is one of my favorite Mexican dishes and is quite healthy too. The other day, I made chicken fajitas and served it with homemade corn tortillas. While serving, you could wrap the chicken in tortillas and top with cheese, salsa, sour cream etc. 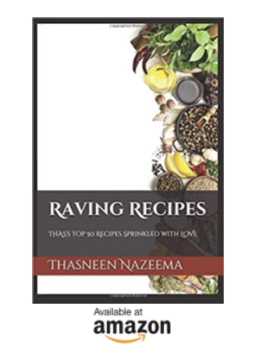 Recipe for making homemade corn tortillas, click here. Combine the chicken with paprika, ground cumin, ground pepper and salt. Grill the chicken or stir fry till the chicken turns golden brown in color. While cooking drizzle the lemon juice over the chicken and stir fry. Keep aside the cooked chicken. Sprinkle paprika, ground cumin and salt over the veggies. In the same pan used for cooking chicken, stir fry the veggies over medium high heat till veggies are lightly browned. Don't over cook the veggies it should stay crisp. Place the cast iron skillet in the preheated oven for 20 minutes. Wear gloves (it's extremely hot) and take the skillet out of the oven. Place the chicken and veggies on the hot hot cast iron skillet, it will immediately start to sizzle. Stove-top method : Place the cast iron skillet on stove top over high heat and let heat for 15 to 20 minutes till you see fumes coming out. Serve with tacos or tortillas. Wrap the chicken and veggies in tortillas and top with cheese, salsa, sour cream etc.